The following event information comes from the Netherlands Chamber of Commerce (NCCJ). Please indicate that you are a BLCCJ member. In collaboration with the Canadian Chamber of Commerce in Japan (CCCJ), the Netherlands Chamber of Commerce in Japan (NCCJ) is pleased to invite you to the 3rd edition of Giving Back To Japan. Four years ago, Japan’s northeastern coast was devastated by a magnitude 9 earthquake, tsunami, and subsequent nuclear accidents. Lives were lost, cities destroyed, and local industries and businesses were crippled. Indeed, 3/11 is a date that has been etched into the minds of people in Japan and around the world. Despite the tragedy and damage, Tohoku and Japan are on the road to reconstruction. 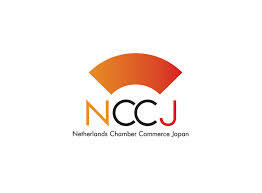 On March 11th, 2015, the Netherlands Chamber of Commerce in Japan and the Canadian Chamber of Commerce in Japan will celebrate efforts for reconstruction, and giving back to Japan with a special event showcasing a variety of projects in the affected region. The Orandajima House was initiated and built by the Orandajima Foundation as an after school facility-community centre for the children and people of Yamada-machi. This town in the Northern province of Iwate has a long relationship with the Netherlands going back to 1643 when a Dutch ship stranded there. This after school facility for the children of Yamada-machi was designed pro-bono by architect Martin van der Linden with wood donated by Canada Wood. This is a great example of countries coming together to support Tohoku, in this case with Dutch companies spearheading the project and Canada supplying the lumber and Japanese and other Europe based companies acting as donor in kind. Key financial support came from the member companies of the NCCJ and other Japan & Netherlands friendship organizations. Please join the NCCJ and the CCCJ in celebrating Japan’s reconstruction on March 11th, 2015. Price: 6,400 JPY; including food and drinks. Pre-payment by bank transfer required and no payments will be accepted at the door. Booking deadline is Friday 6 March 2015. Upon registration, a confirmation with bank transfer information will be sent to you by email. If you do not hear from us within 3 working days, kindly contact the NCCJ office at nccj@nccj.jp. Please note that your registration will be completed and considered final only when your payment has been received by the deadline (6 March 2015). No-show or cancellation on and after 6 March 2015 will be charged in full and payments are non-refundable, unless the organizer cancels the event.